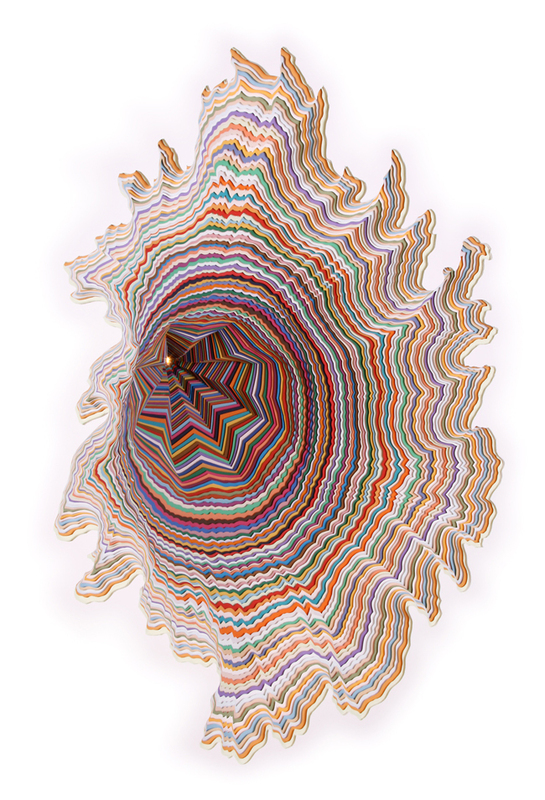 Playful mixed-media artist Jen Stark will be showcasing a new selection of her meticulously constructed sculptural works during Art Basel Week in Miami. Exhibiting with Carol Jazzar Gallery at SCOPE, her work is comprised of hand-cut pieces of acid-free color paper tirelessly layered upon one another until the aggregated abstractions, often three dimensional, are stunningly realized. Just thinking about the amount of time and effort put into cutting and connecting every last piece of paper with such precision makes my head hurt. 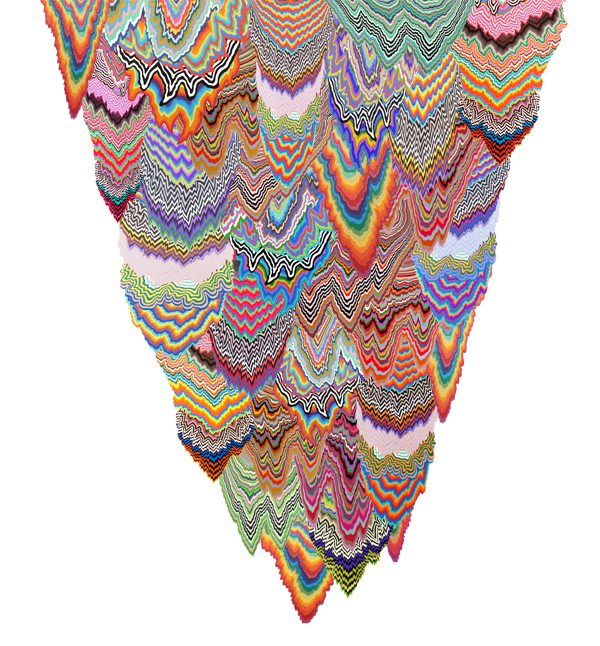 However, the resulting colorful amorphous work makes it all worth the while. A unique methodology that produces an even more unique visual language, all with materials you’d find in a kindergarten classroom. There’s something to be said for transforming everyday materials into intriguing art, for which Stark is resounding proof. Check out a complete preview after the jump. Categories: Contemporary Art, Fairs, Previews, Shows & Events. Tags: Art Basel, Art Basel Week Miami 2010, Art Fairs, Carol Jazzar Gallery, Contemporary Art, Jen Stark, Previews, Shows & Events.